Silver Ghost founder Weston Eidson’s great-grandfather, John Montagu, was an automobile pioneer at the turn of the 20th century. Being a British Lord and in Parliament, he was instrumental in much of the early automotive legislation and even had the privilege of giving the future King Edward VII his first car ride. As a close friend of Charles Rolls and Henry Royce, Montagu’s secretary served as the model for the Rolls-Royce hood ornament, the “Spirit of Ecstasy,” which we still see on Rolls-Royce cars today. The Silver Ghost name comes from John Montagu’s favorite car, the 1909 Rolls-Royce Silver Ghost. Silver Ghost is a complex Napa Valley Cabernet with all of the stuffing for age but no inherent requirement for it. The fruit comes from three of the finest vineyards in Napa, combining lush valley-floor fruit with high-elevation grapes on well-draining soils that lend structure to the wine. One third comes from a heritage Rutherford vineyard on the valley floor with gravel alluvial soils that neighbors the famous Schrader and Alpha Omega vineyards. Another third comes from a mountain site in Calistoga at 350 feet in elevation on volcanic and rocky loam. And the last third come from a classic west Yountville vineyard on the valley floor with gravelly silt loam and stony soil. All the grapes are sustainably farmed and the average age of vines is 20 years. 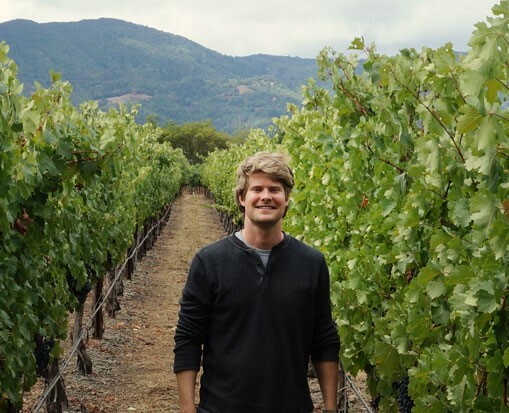 Weston Eidson grew up around fine wine and traveled to wine regions around the world while in graduate school, from Chile and South Africa to Bordeaux and the Veneto. Weston’s travels soon took him to Napa, and as they say, when the student is ready the teacher will appear. It was then that he met Jason Moore of Modus Operandi, who invited Weston to work harvest. Weston was a natural, quickly becoming adept at identifying ideal ripeness at harvest, tasting nuances as the wine ferments, and recognizing the implications of different aging regimens. He also developed a conviction about making wine with minimal intervention: allow the fruit to make beautiful wine, naturally reflecting distinctive terroir. Over time, he developed relationships with veterans of Napa and Sonoma including Russell Bevan, Steve Matthiasson, and Steve Reynolds. Through those relationships came access to some of Napa’s most esteemed talent and its best vineyards. Silver Ghost is a second label that Weston developed for his main winery, Montagu Wines, founded in 2012.